Page 5 - Play Today | KaBOOM! On November 26, 2011, NASA launched a robotic rover, Curiosity, to explore Martian climate and geology. 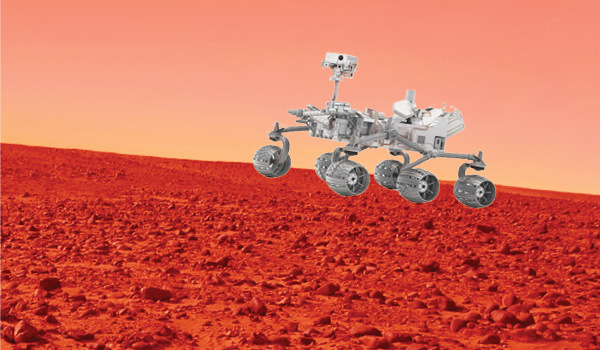 Since landing on Mars on August 6, 2012, the rover has been traversing the surface in search of extraterrestrial existence. In a new development, Curiosity has discovered what is believed to be the first sign of life on Mars—a cardboard box playground. The intricate and elephant-sized structure has lead to several conclusions about life on Mars, most notably that Martian kids had powerful imaginations and loved to play, just like kids here on Earth. Curiosity managed to gather several specimens from the cardboard boxes to help NASA’s scientists determine the chemical makeup of the complex, corrugated layers. Over the coming weeks, these scientists will perform several experiments to examine the samples. Rob Manning, Chief Engineer of the Mars Rover Project said, “When I was a kid I also built cardboard rockets.” Now, thanks to Rob’s team, the rover discovered cardboard boxes on Mars! KaBOOM! first received word from NASA of the potential for signs of playful life on Mars early last week and quickly brought in our own panel of experts to help verify the findings. Working closely with certified cardboard box aficionado, Caine Monroy, of Caine’s Arcade, KaBOOM! identified the photos taken by the rover. Caine raved over the Martian kids’ creativity and offered an unlimited Fun Pass to Martians of all ages. Coincidently, just one year ago almost to the day, Caine’s Arcade sent YouTube into a cardboard-filled frenzy. 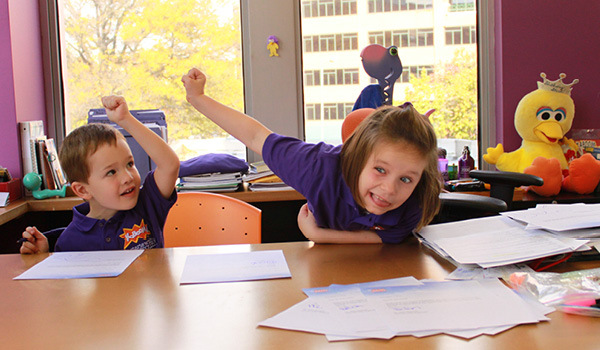 Other leading play experts—6-year-old Helen and 4-year-old Jake—also consulted with KaBOOM! to determine the authenticity of the cardboard box playground. Re-creating the atmospheric conditions of Mars as well as the playground, Helen and Jake tested it for unique shapes and places to hide. 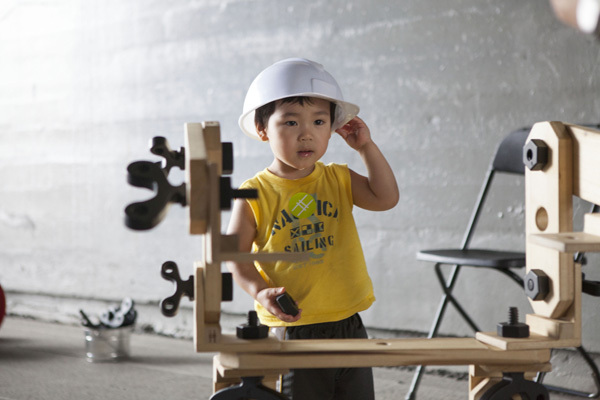 After the child experts gave their stamp of approval, KaBOOM! was ready to go public with the exciting news of imaginative play on Mars. NASA will hold a press conference tomorrow at 3:00 PM EST to reveal the initial scientific findings behind the discovery. In the interim, we’re honored to be able to share this series of exclusive photos taken from the Curiosity rover, below. KaBOOM! hopes these images from Mars will allow filmmaker Nirvan Mullick, Director of Caine’s Arcade and Founder of Imagination Foundation, to expand the Global Cardboard Challenge across the galaxy. 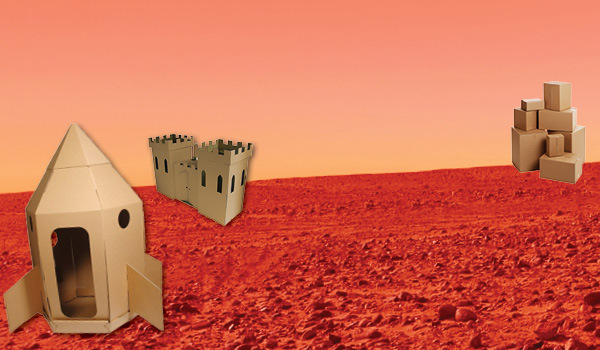 Update (4/2): While we do hope that one day a cardboard box playground will be discovered on Mars, yesterday’s post was a fun April Fool’s Day trick. 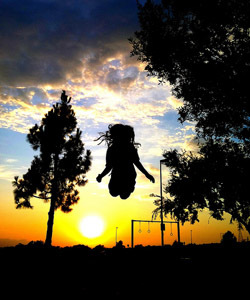 However, we know that each and every day children travel to Mars and back with a little imagination and creativity. 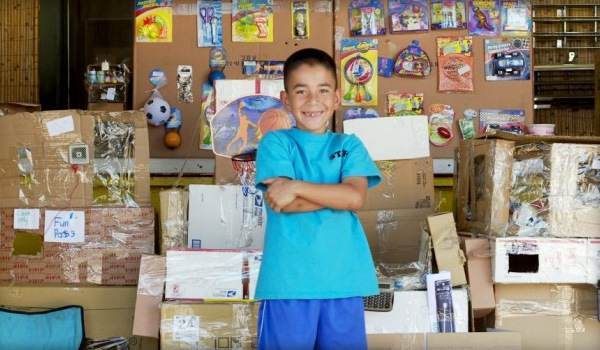 As evidenced by Caine’s Arcade, kids can create a whole lot with a stack of cardboard boxes. Here are some ideas to get you started and who knows, maybe you’ll end up on Mars! Mars rover, Curiosity, traversing the surface in search of life. 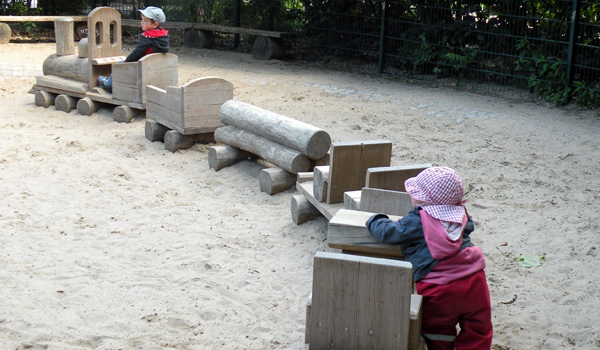 Curiosity discovers what is believed to be the first sign of life on Mars—a cardboard box playground. 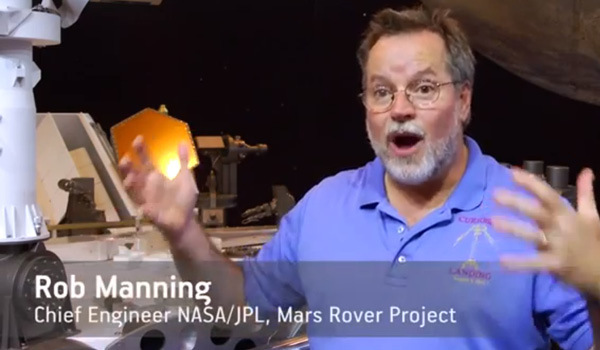 Rob Manning, Chief Engineer of the Mars Rover Project, reacts to the findings. 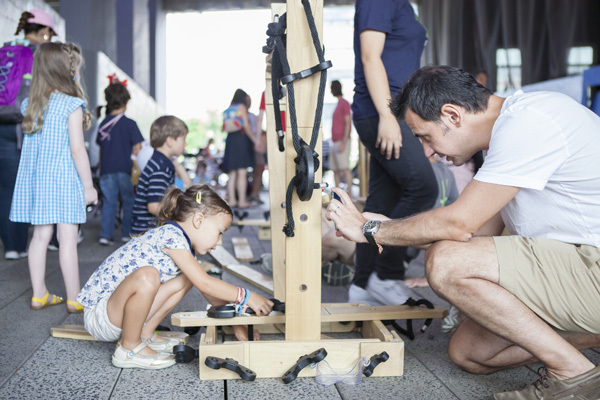 Certified cardboard box aficionado, Caine Monroy, raves over the Martian kids' creativity. Helen and Jake celebrate the authenticity of the cardboard box playground. All children deserve a childhood. But when faced with external circumstances like illness, war, natural disaster, or extreme poverty, some children risk missing out on the simple joys of running, laughing, discovering, and creating. 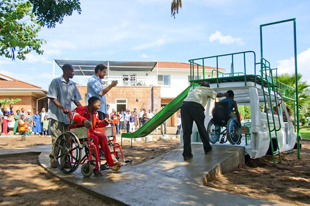 In Blantyre, Malawi, a hospital is harnessing the healing power of play by offering its patients an ambulance-turned-playground. 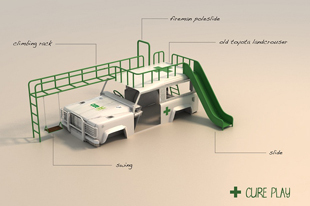 The ambulance, repurposed by a pair of Dutch designers, sports a slide, swing, monkey bars, clubhouse area, and fireman’s pole. 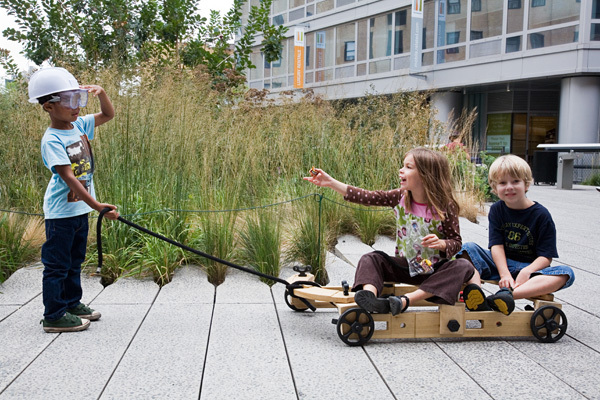 It is handicap-accessible so that the hospital’s wheelchair-bound patients can play alongside other patients and children from the neighborhood. 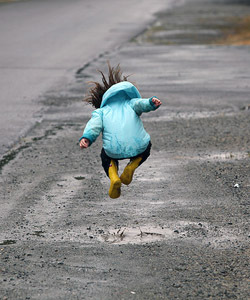 Whether in the United States, Syria or Haiti, kids intuitively understand the importance of play. We just need to make sure that we’re giving them the time and space to be kids. Are you getting ready for National Peanut Butter & Jelly Day? What about No Socks Day? There are all sorts of random holidays, but this week we celebrate a different kind of random—Random Acts of Kindness Week. Give a high five—or five! It’s impossible not to feel energized after a high five. Use this week as an excuse to give out as many high fives as possible, to strangers and friends alike. Draw a hopscotch board on the sidewalk. 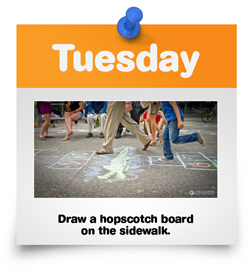 Turn someone’s routine walk into a hop, skip, and a jump by sketching out a hopscotch board with sidewalk chalk. 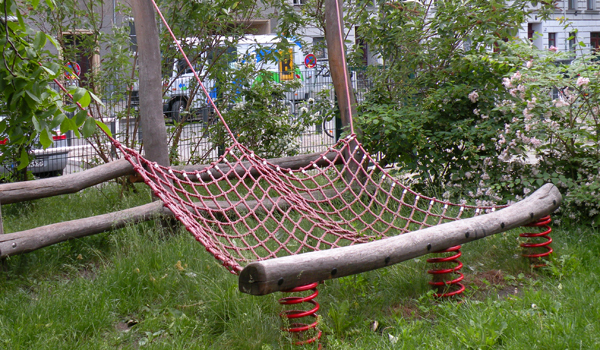 For extra fun, target a business district to inject some play into the daily grind. 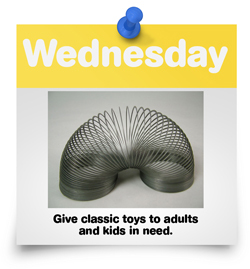 Give classic toys to adults and kids in need. Know an adult who takes life too seriously? 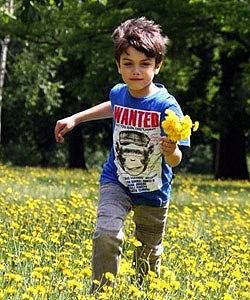 A kid who needs more playtime? Slip them one of those irresistible good old-fashioned toys, like a Slinky, Etch a Sketch, rubber ball, or blob of Silly Putty. Waiting in line at the ATM? Waiting at the bus stop? Waiting to cross the street? 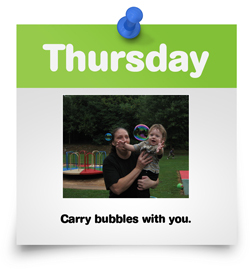 Break out some bubbles to pass the time and inject a soapy dose of silliness into a stranger’s day. 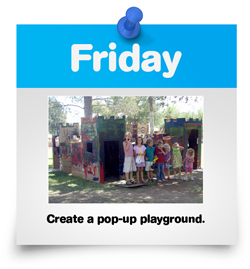 Bring cardboard boxes and other found objects to a park, plaza, or other public space near you. 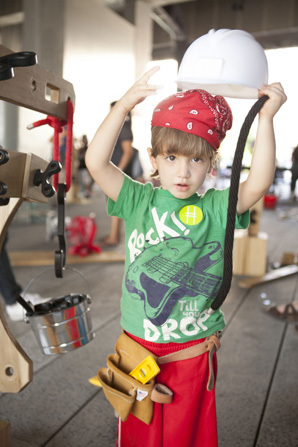 Let your kids start building and creating, and encourage curious onlookers to get in on the fun. 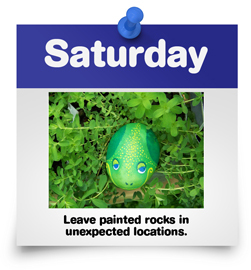 Leave painted rocks in unexpected locations. 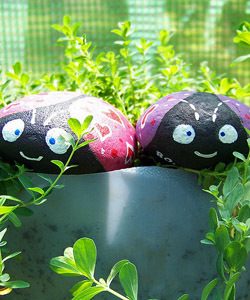 Turn frowns upside down by painting cheerful faces on rocks and “hiding” them throughout your neighborhood. 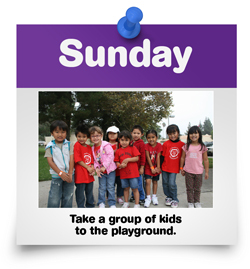 Take a group of kids to the playground. Every kid needs some playtime, and every parent needs some “me” time. 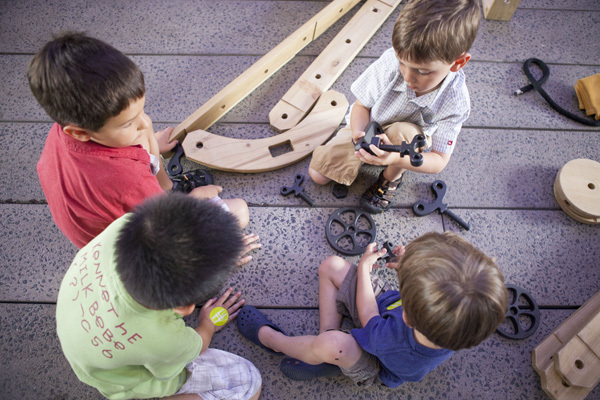 Make everyone happy by offering to take your friends’ kids to the playground. 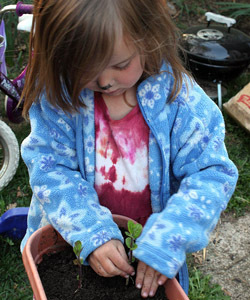 While you’re there, get in a bonus act of kindness by teaching the kids a new outdoor game. 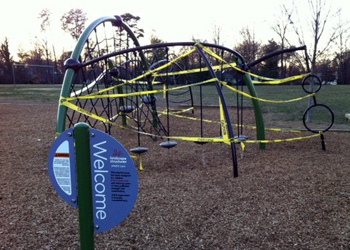 At Stratford Landing Elementary School in Fairfax, Va., a nearly new playground sits wrapped in caution tape. 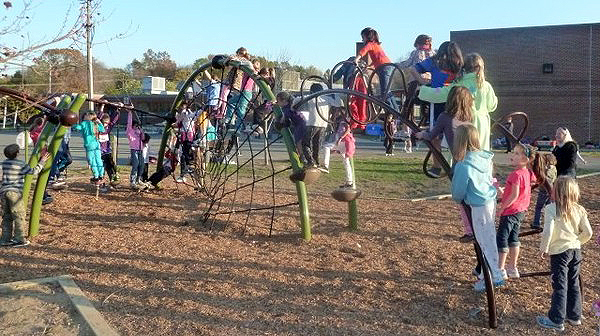 It represents a struggle between a PTA, which raised $35,000 from silent auctions and bake sales to purchase and install the playground equipment, and school officials, who have deemed the play equipment too dangerous and are ordering its removal. ‘Too dangerous’ means that the equipment doesn’t meet the school district’s established safety standards. Though parents may be tempted to vilify the Fairfax County Public School administrators—who are offering the school $135,000 to replace the equipment—the administrators are hardly to blame for following their own protocol. Instead of pointing fingers, let’s shift the conversation. Instead of advocating for exceptions to the rule, let’s reexamine the rules. It’s a shame that $35,000 of hard-earned PTA money may go to waste, but the much larger shame is that even with a $135,000 investment from the county, Kes may once again find herself bored during recess. And she isn’t the only one. 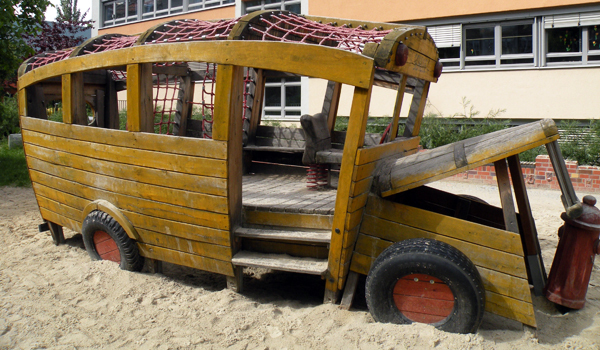 Our playgrounds are failing to engage our country’s eight-, nine-, and ten-year-olds, pushing them to the sidelines at a time in their lives when they should be pushing themselves to climb higher. 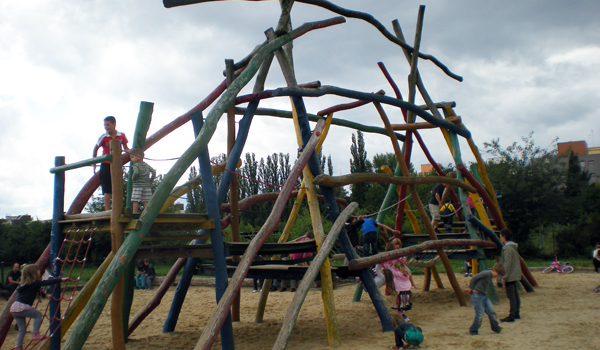 A playground that challenges children not only keeps them active for longer, but it also motivates them to think creatively when they encounter obstacles and experiment with potential solutions. In other words, it prepares them to be healthy, innovative, successful adults who can navigate an increasingly complex and connected world. The real question here is not: How can we save the equipment at Stratford Landing? The real question is: How can we save our children’s childhoods and futures—in Fairfax and beyond? 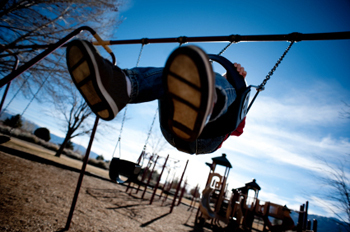 UPDATE: Though we must continue to ask ourselves how we can ensure that children across the country have access to challenging play equipment, we are happy to report that according to The Washington Post, "A dispute over a Fairfax County elementary school playground structure has been resolved after a school district official announced Wednesday that the equipment would no longer be off-limits to students." Children flocked to the new playground equipment before it was slated for removal and wrapped in caution tape. 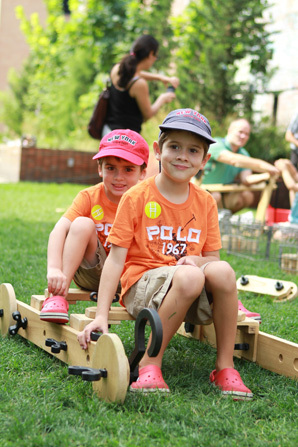 Photos courtesy of the Stratford Landing PTA, via The Patch. 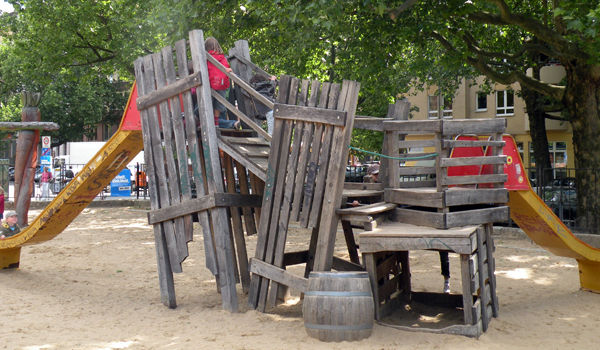 In the United States, a wooden playground is a rare sight to behold. Though kids are naturally drawn to the textured surface and natural feel of wood, safety and maintenance concerns have drawn us toward the bright (some might say garish) allure of plastic. 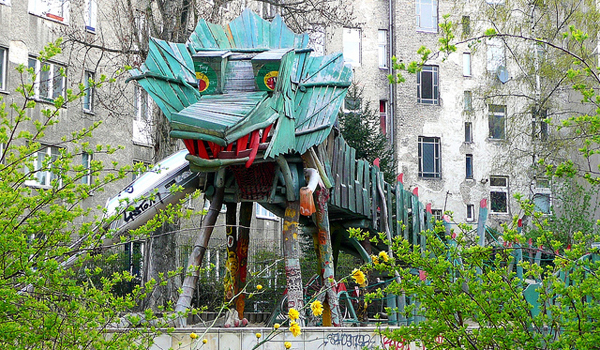 "All elements of the new Berlin come together here. Young families are flocking to some of the gentrifying old eastern areas and new friendships between parents are being formed. 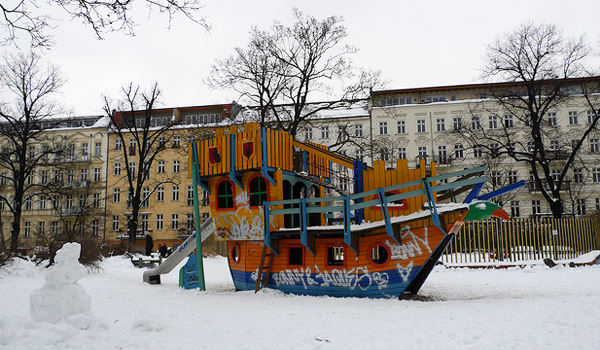 Playgrounds initiate that...and a sense of community." 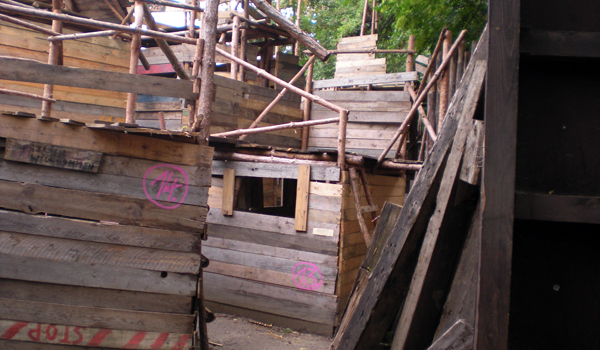 Of course, friendships and communities are forged on wooden and plastic playgrounds alike. Still, it's hard to look at these photos and not feel a tug of nostalgia. 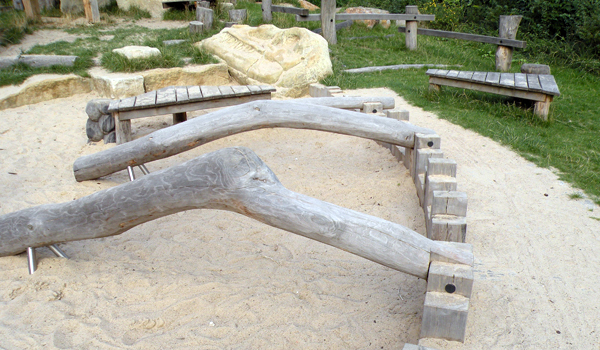 Wood may have its disadvantages, but when it comes to play equipment, its warmth and whimsy remain unmatched. Photos are by Judith Markoff Hansen, unless otherwise noted. Photo by Metro Centric (cc). 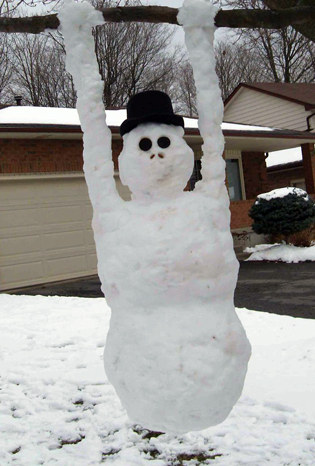 As you enjoy your holidays, we hope these playing snowmen inspire you to get outside. 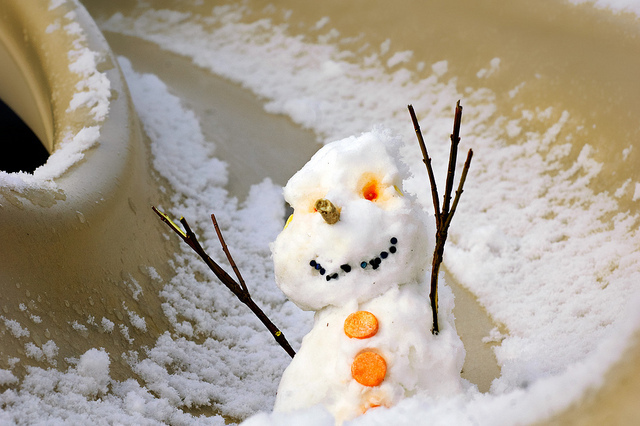 Granted, snowmen may be a bit less phased by the cold than us warm-blooded humans, but with the right attire and mindset, you too can race down slides, practice handstands, chuck snowballs, climb trees, hang from tree branches, and play sports. Wishing you very happy holidays and a wonderful New Year -- from all of us at KaBOOM!. Photo credits: Sliding snowman by Shutter Nutty (cc). 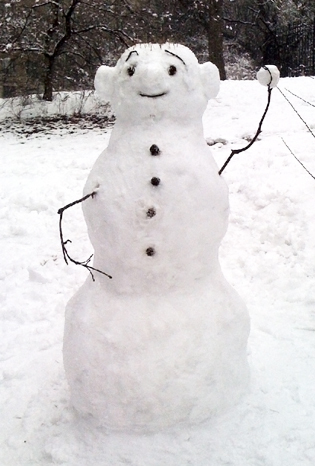 Snowball-wielding snowman via Artlenastudios on CentralPark.com. 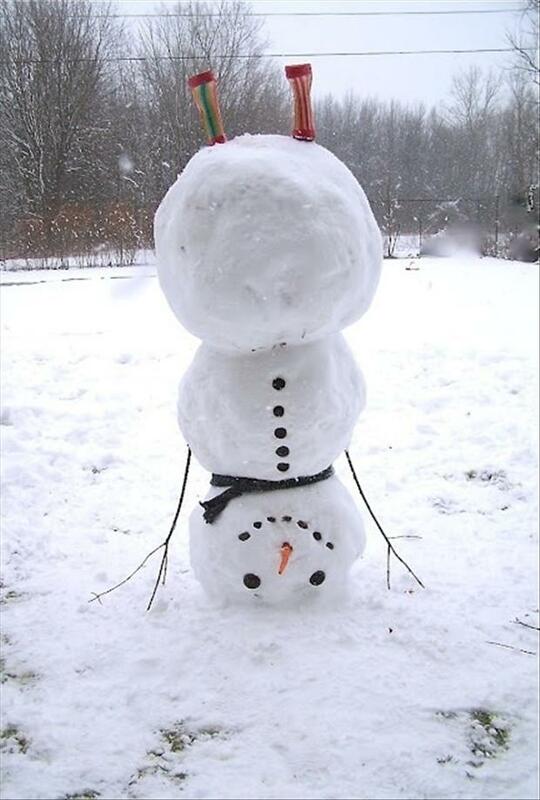 Upside-down snowman via Tom Grimshaw. 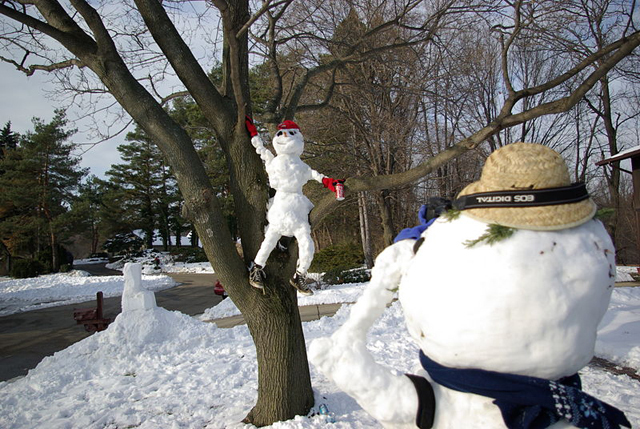 Tree-climbing snowman by Moxfyre (cc). 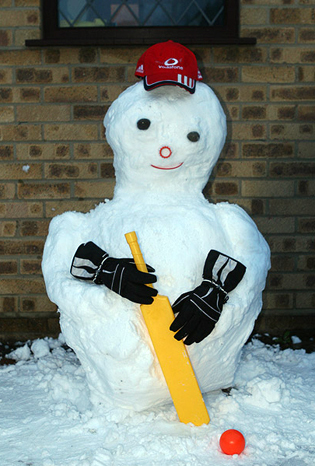 Cricket-playing snowman by Clare and Stuart Skinner via The Telegraph. Tree-hanging snowman via The Instructables.